One of my favorite shots from earlier this summer outside of Belle Fourche, South Dakota. 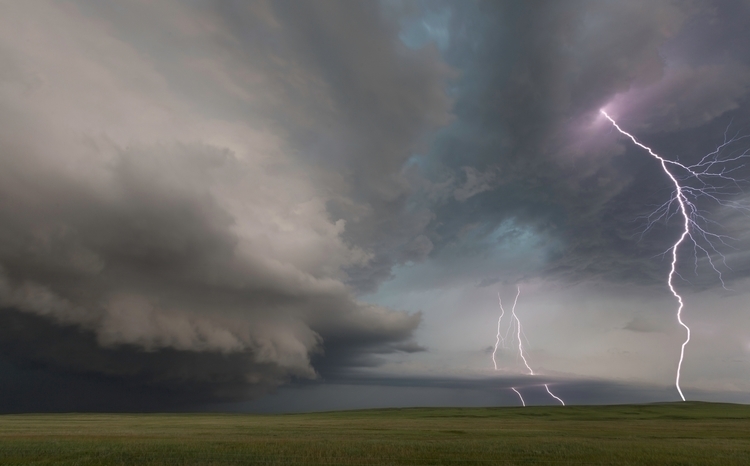 The lightning field out in front on this amazing supercell was something else. Smooth channel lightning was flashing every few seconds. My hair started to stand up a little while I was standing here. Time to go! Hope you enjoy!